These are but a few of the words spoken between the two lovers of the Song of Songs. This work is unique among the books of the Bible, written as an extended love poem between a lover and his bride. The language is rich in imagery, passionate in its intensity, and—what may come as a surprise to some—remarkably sexual in its description of romantic love. You might wonder why a book of love poetry appears in the Bible in the first place. What’s so holy about romance, after all? It’s helpful here to remember that God created marriage and earthly love. The Song of Songs can therefore be seen as a celebration of that good gift, as well as an example for people to emulate in their own married lives. God’s not a prude; He delights in deep and passionate married love. This reason alone would make the book fruitful reading for Christians today. But the tradition of the Church has long noted another meaning in the text—namely, that the love of the lover and his bride acts as an allegory for Christ and His love for the Church. In reading the book this way, we draw on other texts in Scripture where God speaks of Himself as the husband of Israel (eg, Isaiah 54:5; Hosea 2:16). In the New Testament, St. Paul explicitly draws the parallel between a husband’s relationship with his wife, and Christ’s relationship with the Church (Ephesians 5:25). The Song of Songs then acts as a perfect model of what that intimate love is supposed to be like: Christ’s driving passion to embrace His beloved, His Church; and we, His people, responding to Him with the devotion of a new bride for her husband (though, we must confess, we often fail to love Him as we ought). 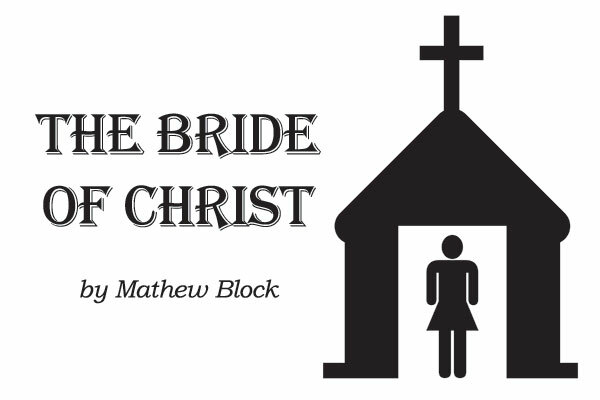 The Song of Songs then acts as a perfect model of what that intimate love is supposed to be like: Christ’s driving passion to embrace His beloved, His Church; and we, His people, responding to Him with the devotion of a new bride for her husband. Still, the image of the faithful bride is one that has guided the Church’s relationship with her Lord throughout the centuries. The fact that God’s Word identifies the Church as feminine is not to be taken lightly either; women have played major roles in the Church since its very beginning. God gave us Mary to be the mother of our Lord, and to serve as an example of faith. He gave us the women at the tomb, to be the first witnesses of the resurrection. He gave us Lois and Eunice to raise Timothy in the faith; Katie Luther to support her husband Martin; and faithful women in our own congregations to strengthen and support the body of believers. 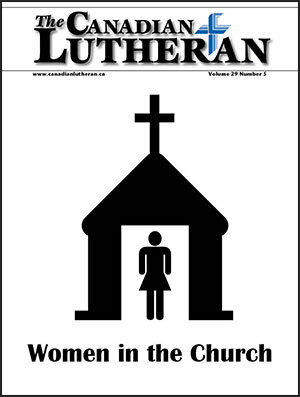 From the Church’s beginnings to its present, women have played vital roles in Christian witness. We ought to look to such women as examples for our own lives. They were faithful to their Lord; but they did not on that account reject their unbelieving families. Instead, they followed St. Paul’s advice: “If any woman has a husband who is an unbeliever, and he consents to live with her, she should not divorce him” (1 Corinthians 7:13). We don’t pursue marriages of mixed faith deliberately, but those already in such situations are to stay as they are; God can use the believer in such a marriage to bear witness to the unbeliever. “For how do you know, wife,” Paul asks, “whether you will save your husband?” (7:16). One woman who took this teaching seriously was St. Monica. Monica was married to a Pagan man named Patricius. It was not an easy marriage: Patricius was prone to anger, was unfaithful to Monica, and undermined her faith. Nevertheless, she still loved him and prayed for him. And shortly before his death, her prayers were answered: Patricius came to faith. The Holy Spirit used the long-suffering witness of Monica to bear Christ to him at last. Years later, God would use Monica’s prayers in the conversion of her son, St. Augustine as well. For 17 years he had walked apart from Christ; thanks to Monica, he is remembered today as one of the greatest theologians the Church has ever seen.